Byeong-Hun An claimed the BMW PGA Championship in record-breaking fashion at Wentworth to seal his maiden European Tour victory. The 23-year-old from South Korea carded a superb final round of 65 to finish on 21-under-par, beating the previous tournament record by two shots, finishing six ahead of veterans Miguel Angel Jimenez and Thongchai Jaidee. In doing so, An – who became the youngest winner of the US Amateur Championship in 2009 at the age of 17 – becomes only the second player to win the tour’s flagship event in their rookie season, emulating Scotland’s Scott Drummond who did likewise in 2004. He also becomes the first Asian to claim the title. Afterwards, the new champ hailed his ‘life-changing victory’. “This is like a fifth major to me,” he added. “It's the biggest title I have won and gets me into a lot of events. I'm really excited and over the moon right now. "I wasn't expecting this. I didn't know that a win was this close. It came all of a sudden. I've been playing well all year but I never thought I would win this event. "I played really well today. I was nervous at the start of the day but confident on every hole because I was hitting it well and putting nicely. I made some mistakes but being bogey-free I think is very good out here. Marc Warren was the top Scot, finishing in a tie for 18th on six-under-par, with his fellow Glasgow man Scott Jamieson a further two shots worse off. Meanwhile, England’s Chris Wood still had reason for cheer, despite finishing fourth, two shots further adrift of Jimenez and Jaidee. The 27-year-old aced the 178-yard 14th in the final round to win a brand new BMW i8 sports car. Byeong-Hun An :: A new star? 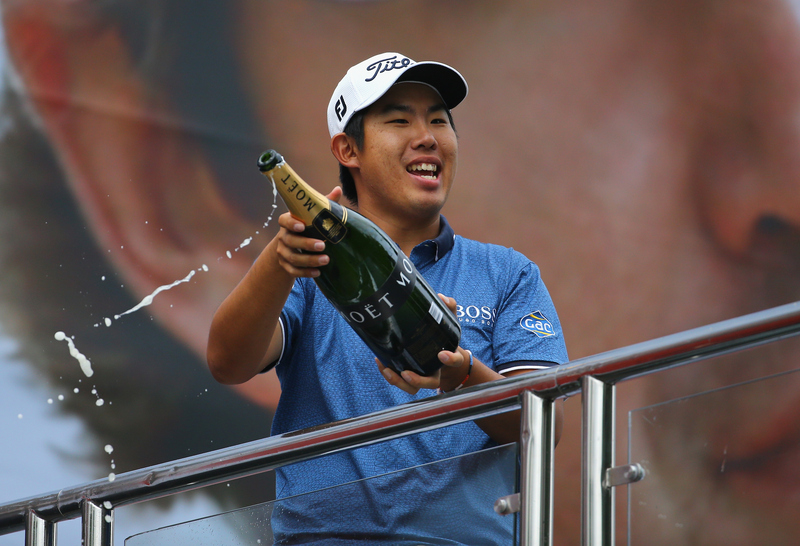 What did you make of Byeong-Hun An's BMW PGA Championship victory? Do you think he will go on to become a major force in the game? Leave your thoughts in our 'Comments' section below.